PT Pembangunan Perumahan Peralatan Konstruksi - PP Peralatan or referred to as "PT PP Peralatan Konstruksi" is a rapid growing company in Indonesia that deals with construction industry. PT PP Peralatan Konstruksi has core business focus on construction equipment rental and formwork contractor for building project. PT PP Peralatan Konstruksi has various contruction equipment to be rented which include tower crane, earth moving equipment, passenger hoist and formwork scaffolding. PT PP Peralatan Konstruksi is a member of state-owned construction giant PT Pembangunan Perumahan (Persero) Tbk (PT PP Group). According to PT Pembangunan Perumahan (Persero) Tbk Annual Report 2015 as cited by JobsCDC.com, PT PP Peralatan Konstruksi was previously known as PT Primajasa Aldodua, a subsidiary company of Yayasan Kesejahteraan Karyawan Pembangunan Perumahan (YKKPP). 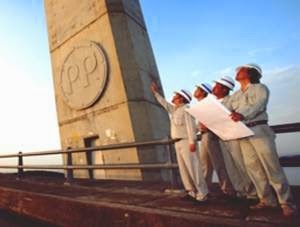 Later, PT Primajasa Aldodua was acquired by PT PP Group and renamed into PT Pembangunan Perumahan Peralatan Konstruksi. Minimum Bachelor Degree (S1) with minimum GPA of 3.00, majoring in Civil Engineering, Mechanical Engineering, Electro Engineering, and Accounting. JobsCDC.com now available on android device. Download now on Google Play here. Please be aware of recruitment fraud. The entire stage of this selection process is free of charge. PT PP Peralatan Konstruksi - Fresh Graduate Program PT PP Group November 2016 will never ask for fees or upfront payments for any purposes during the recruitment process such as transportation and accommodation.